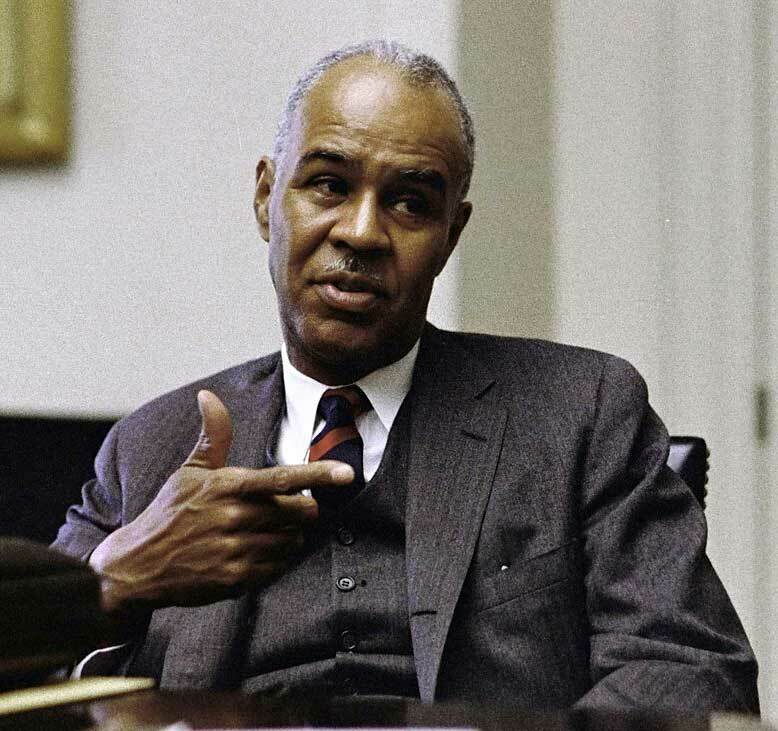 Roy Wilkins was born in St. Louis, Missouri. He grew up in the home of his aunt and uncle in a low-income, integrated community in St. Paul, Minnesota. Working his way through college at the University of Minnesota, he graduated in 1923 and joined the staff of the Kansas City Call, a black weekly newspaper. He became managing editor, then joined the staff of the National Association for the Advancement of Colored People (NAACP). From 1934 to 1949, Wilkins edited Crisis, the organization's official magazine. In 1955, Wilkins was named executive director of the NAACP, quickly gaining a reputation as an articulate spokesperson for civil rights. A believer in legislative reform, he testified before many Congressional hearings and conferred with Presidents Kennedy, Johnson, Nixon, Ford and Carter. Wilkins strongly opposed militancy in the movement for civil rights as represented by the "black power" movement of Stokely Carmichael and the Student Nonviolent Coordinating Committee (SNCC). In the late 1960's and 1970's, Wilkins moderate approach was the subject of criticism by militant civil rights groups, dismissed as outmoded. Nevertheless, the NAACP provided financial and legal support for community action programs in the ghettos of northern cities. In 1977, at the age of 76, Wilkins retired from the NAACP. He wrote his autobiography, Standing Fast: The Autobiography of Roy Wilkins, in 1982.